My first true passion – obsessively collecting baseball cards and compiling decades’ worth of baseball stats in my brain – has colored my subsequent obsessions to such a degree that I wonder if my brain took its quantum formation leap during the years when I was 9, 10, 11, and 12 years old. Because I can’t seem to get away from that collector/expert mentality. It has played out with music, particularly record collecting. It even played out, and is still playing out, with craft beer – as well as a variety of minor obsessions that I’m talking about on this blog and really, to anyone who will listen: film, baseball, certain eras of history, NHL hockey, politics, artisanal chocolate, technology, and…….CHEESE. Yeah, cheese. Now when I say “minor obsession”, I mean truly minor. I marvel at the fact that anyone, myself included, would pay attention to foodstuffs in an obsessive way; yet judging from the enormous weight of food blogs and food tomes on the shelves, food-based navel gazing is having its moment right now, and that it turn is breaking off into multiple sub-obsessions. Like the fetish some people seem to have around cheese. I wouldn’t even know about the “curd nerds” if I wasn’t already a beer dork myself. I published a beer blog for over 4 years myself, and in the course of doing so, found a cadre of like-minded folks who spent an inordinate amount of their time thinking about or blogging about certain foods like chocolate, charcuterie or cheese. Then a couple of things came to my attention over the past couple months. First was a magazine called CULTURE, completely and wholly devoted to the study and celebration of cheese. I bought a copy, mostly because I wanted to know more. For these people cheese is not just a lifestyle, it’s a life. The magazine is full of succulent pictures of weird cheeses from all over the world, along with helpful descriptions of varieties, of recent trends in the “cheese world”, and of the people who are carving out a more artisanal, experimental, and/or back-to-basics sort of cheesemaking that parallels a lot of what’s going on in beer as well. I actually enjoyed reading this thing quite a bit, while feeling sort of like it’s aimed at a demographic about 15 years older than myself. It made me head over to the local cheese shop and buy a couple of wedges of stuff I’ve never heard of – so, mission accomplished right there. The other touchpoint in the new cheese awakening is this book “CHEESEMONGER – A LIFE ON THE WEDGE” by Gordon Edgar. Now, I don’t personally know Edgar, but I remember him from his days as a punk rock show denizen like myself, and as someone who used to work at Epicenter Zone, the San Francisco punk record store from the early 90s run by the Maximum RocknRoll commune. He’s taken cash from my hands, let’s say that. I don’t shop at the Rainbow Grocery food collective he now works at (and runs point on all things cheese for), but I love the idea that he’s written what looks to be a very funny book about his own personal cheese awakening. I’ve read a bit of it in a bookstore, and it’s definitely on my list to buy & devote some real time to. He obviously takes a semi-cynical eye to food fetishization while reveling in his newfound love & appreciation for the sort of edible art that can be spun from a farmer and a few simple ingredients. The book appears to be the story of his “journey”, with some good advice for those of us who barely know a thing about cheese and who want to know more. I’m gonna read this book someday, I promise. In the meantime, check out Edgar’s blog. With my own affection for cheese growing by the day, here’s my first tentative stab at a cheese review. 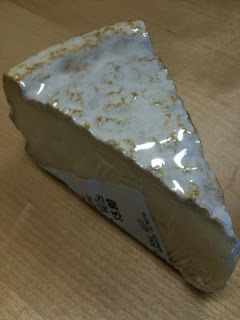 I bought a wedge of NICASIO VALLEY BLACK MOUNTAIN at a Berkeley, CA foodie store. It's picture above. These folks make their European-influenced cheeses just north of me in Marin County, CA. 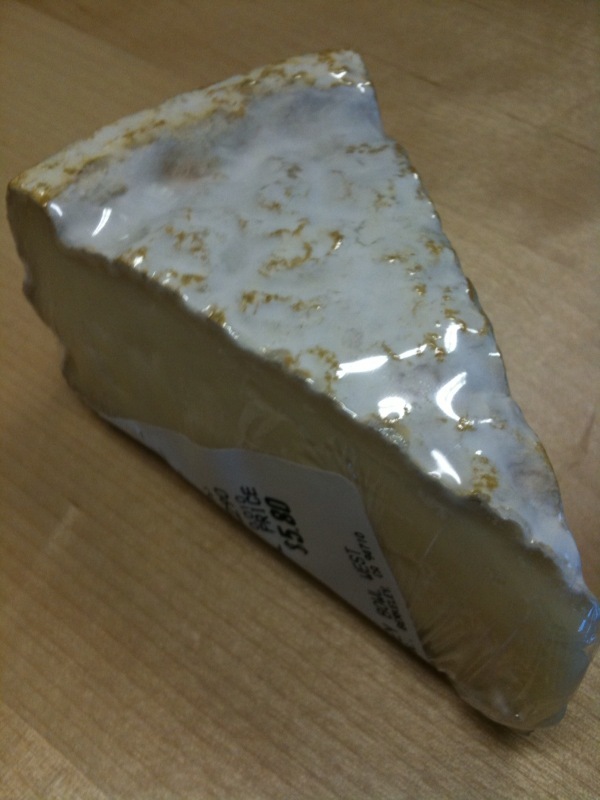 Black Mountain is a milky, buttery, medium-creamy soft cheese with a slight sour tinge. The acids don’t stay in the mouth long, though I’d still recommend a big breath mint when you’re done with this one. Wow – did I say butter? Really buttery cheese, one that’s fairly simple and can be approached by just about anyone. Buttery! So there you have it – my baptism into cheese dorkitude. 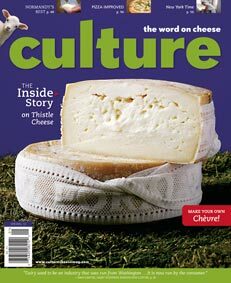 Grab one of the aforementioned reads and get your cheese obsession revved up as well.